On June 12, friends of the Inspiration Centre gathered at our newly acquired piece of land to give thanks to God for our new investment — a plot of land. 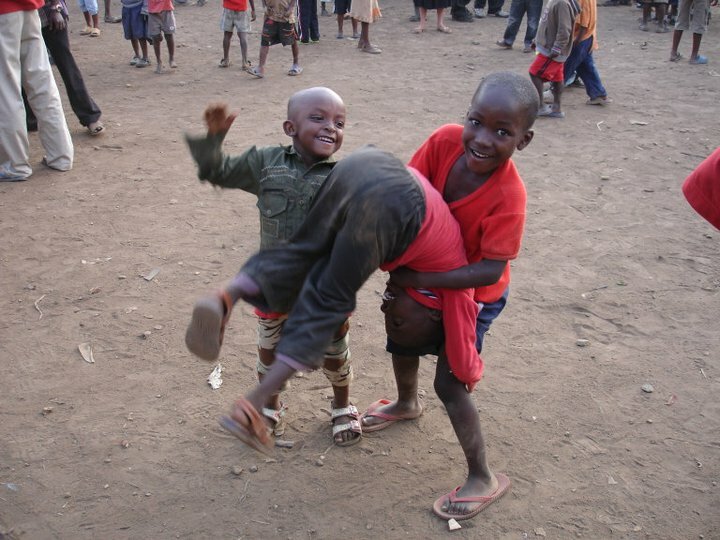 The purchase of land is one of the biggest steps that Inspiration Centre has ever taken since we started. 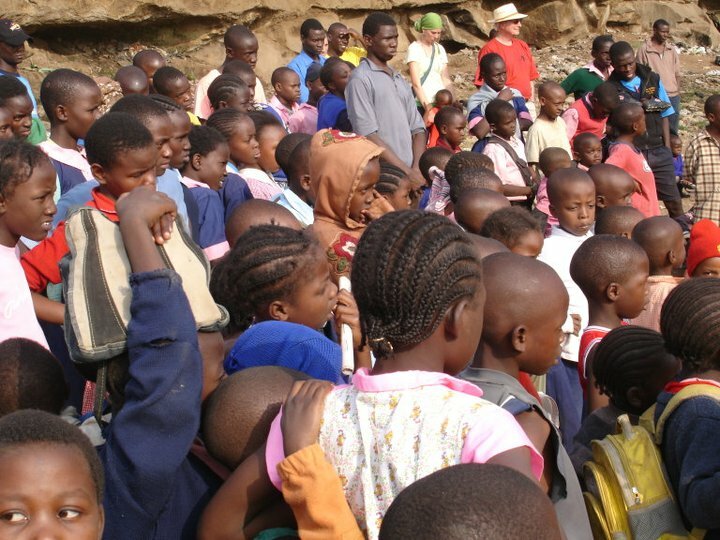 Land is one of the major sources of conflict in Kenya. As an organization that is independent and trying to come up with programs that will be internally supported and sustainable, this was our biggest achievement. Our little plot with big potential! The land dedication day was set aside to thank God for providing us with an opportunity to own property. We made our own meals and shared it as one family just like what Jesus did with those he led. We intend to erect a five storey building on the land with 48 rooms and more secure and community space at the top (with the possibilities of having a garden). This in return will generate a monthly income of $1,500 per month that will support other Inspiration Centre programs. Although we have already achieved so much, we still need to come up with a lot of money for the structure. We have a budget of $230,000 for the entire project. We look forward to updating you about the progress of this land and building site. 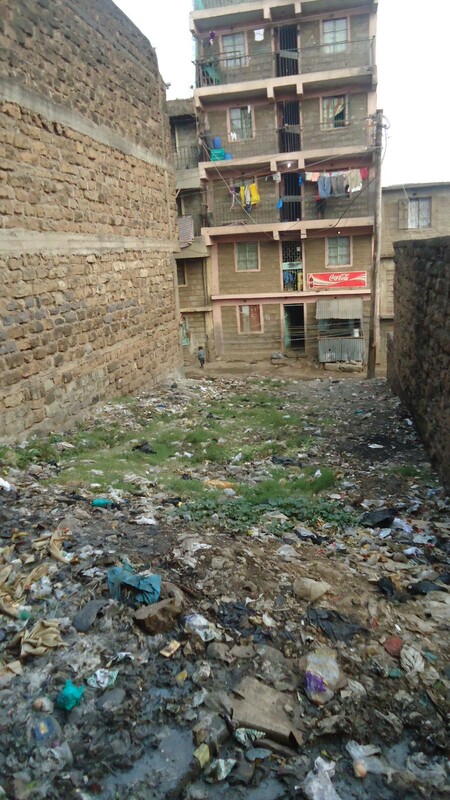 For now we give thanks for the opportunity God has given us and pray we will use his blessing to serve Mathare even more. June 24th was also an exciting day for us. The Rift Valley Academy (RVA) joined us for a concert and production. 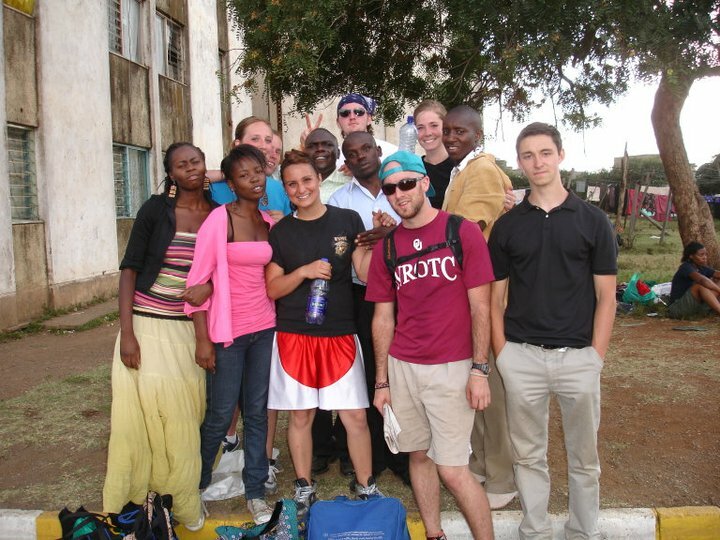 RVA is a boarding school in central Kenya for the children of missionaries. 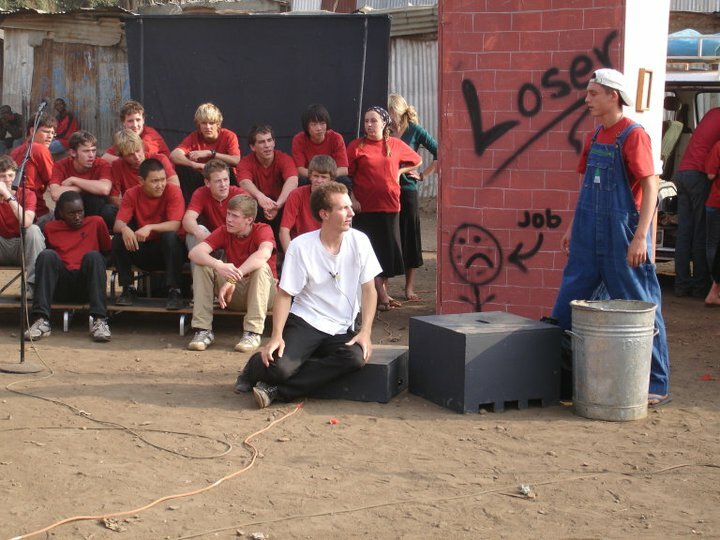 Their choir and drama group came to perform and interpretation of the story of Job. We had a great turn up of people and we also had an opportunity to speak one on one about Jesus with the local residents. 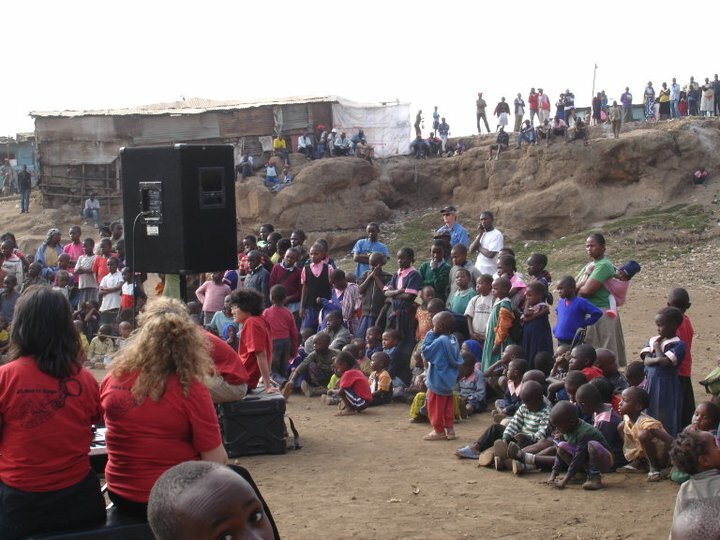 This was our third time we have invited RVA’s choir to Mathare.